Almost went the day without posting a Miku article! For shame (on myself). 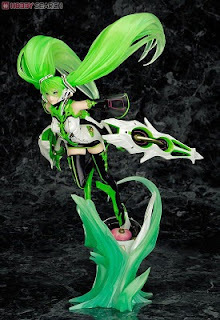 I hated to save this one for Miku Day, because it's really old news now, but this figure looks beautiful. At 1/8 scale I just wish it was a little bigger (and cheaper).